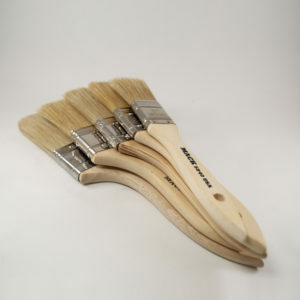 This brush uses a multi diameter synthetic which adds strength for heavy bodied paint. 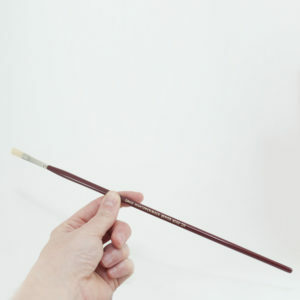 It is interlocked or turned in, to retain its shape. 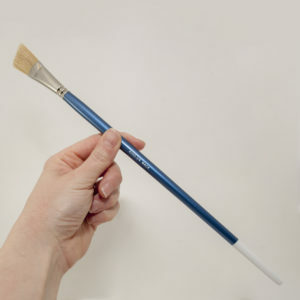 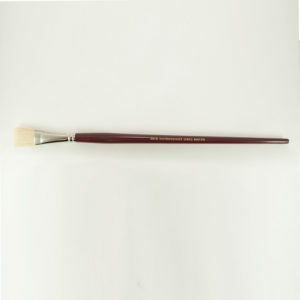 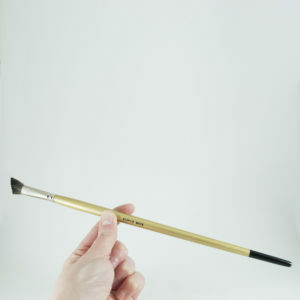 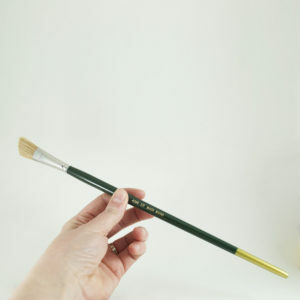 With the strength and softness of the bristle the artist can use this brush on various surfaces whether it be smooth or rough. 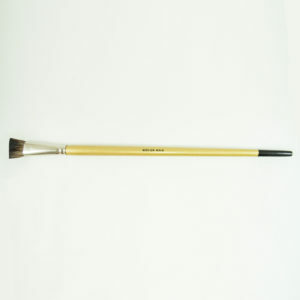 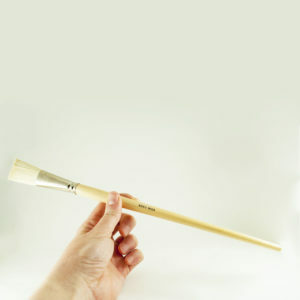 The brush is offered in sizes ¼”, ½”, ¾” and 1”. 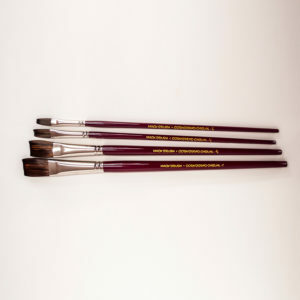 Available in 4 sizes (see chart below) This series is a full synthetic filament mixture. 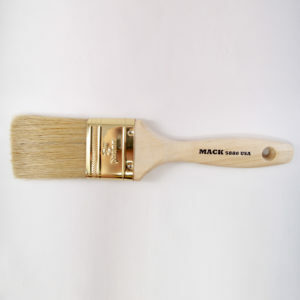 This brush is another collaboration between Mack Brush and Scott “Cornbread” Lindley. 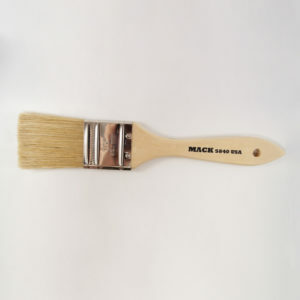 The hair that was chosen is a Dupont Tymex synthetic. 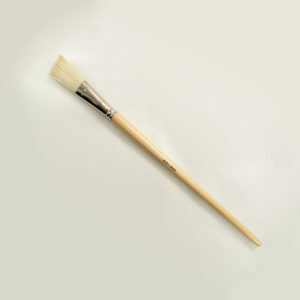 It is cup chiseled by hand with a tip of a natural bristled brush. 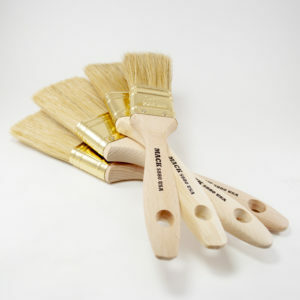 Strong but flexible synthetic hair gives the artist a great workhorse on rougher surfaces. 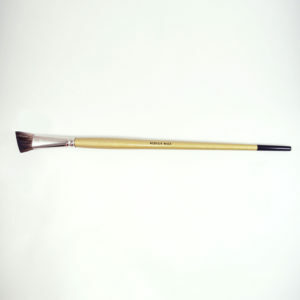 The brush is offered in sizes ¼”, ½”, ¾” and 1”. 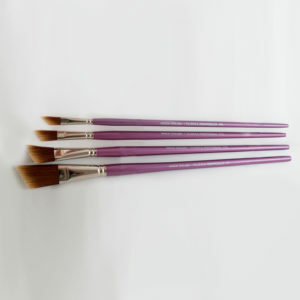 Available in 4 sizes (see chart below) This series is a full synthetic filament mixture. 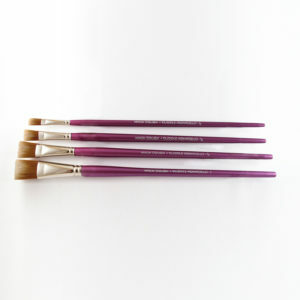 All of the same great attributes of the Purple Armadillo are on display in this brush with the only difference being the angular shape. 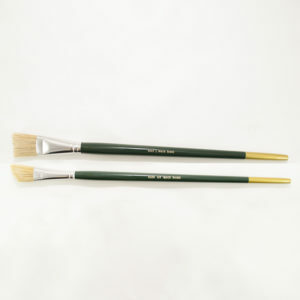 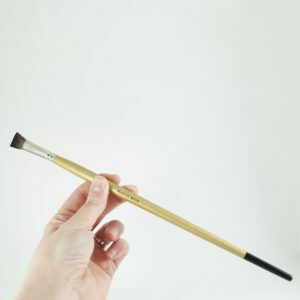 The brush is offered in sizes ¼”, ½”, ¾” and 1”. 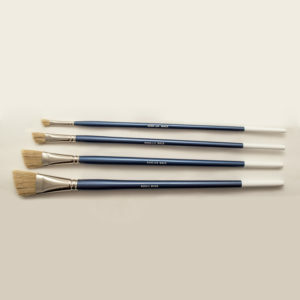 Available in 4 sizes (see chart below) This series is a full synthetic filament mixture.